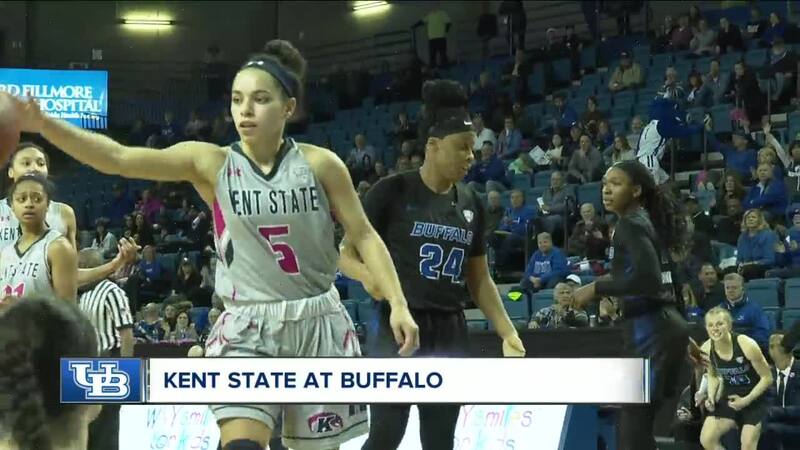 AMHERST, N.Y. (WKBW) — Make it two straight wins for the UB women's basketball team as they beat Kent State 75-66 on Saturday afternoon. With the win, the Bulls are now 16-5 on the season and 8-2 in the MAC. Cierra Dillard led the Bulls with a game-high 31 points and 11 assists. Summer Hemphill added 16 points and 12 rebounds while Courtney Wilkins chipped in with 16 points. The Bulls are back in action on Wednesday when they travel to Bowling Green.